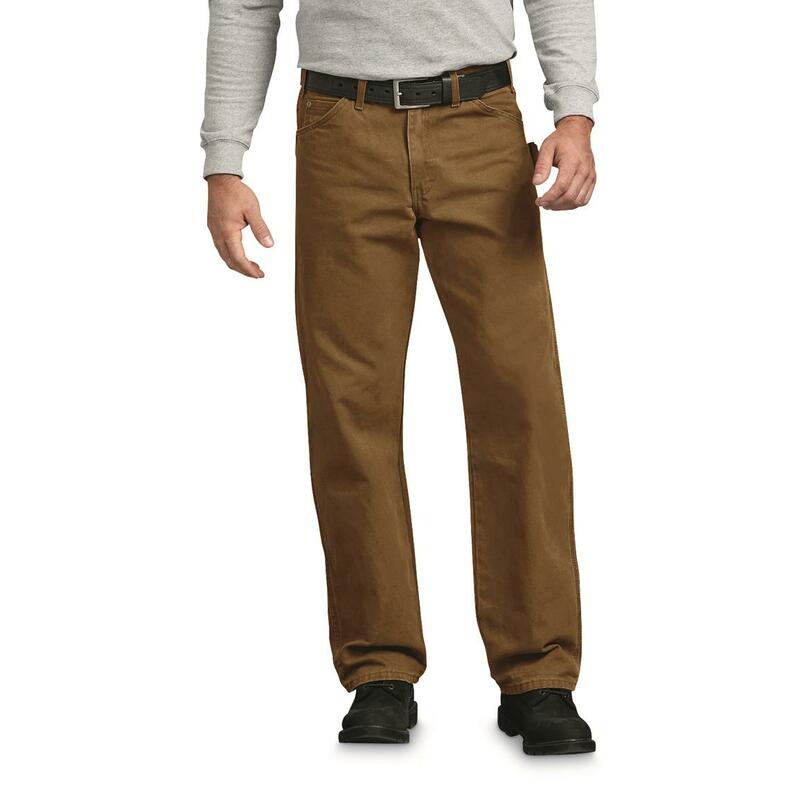 Sanded, garment-washed…these Dickies® Duck Jeans are comfortable from the moment you put them on until you clock-out. Triple stitching throughout and riveted stress point combine for a 1-2 punch of added durability. 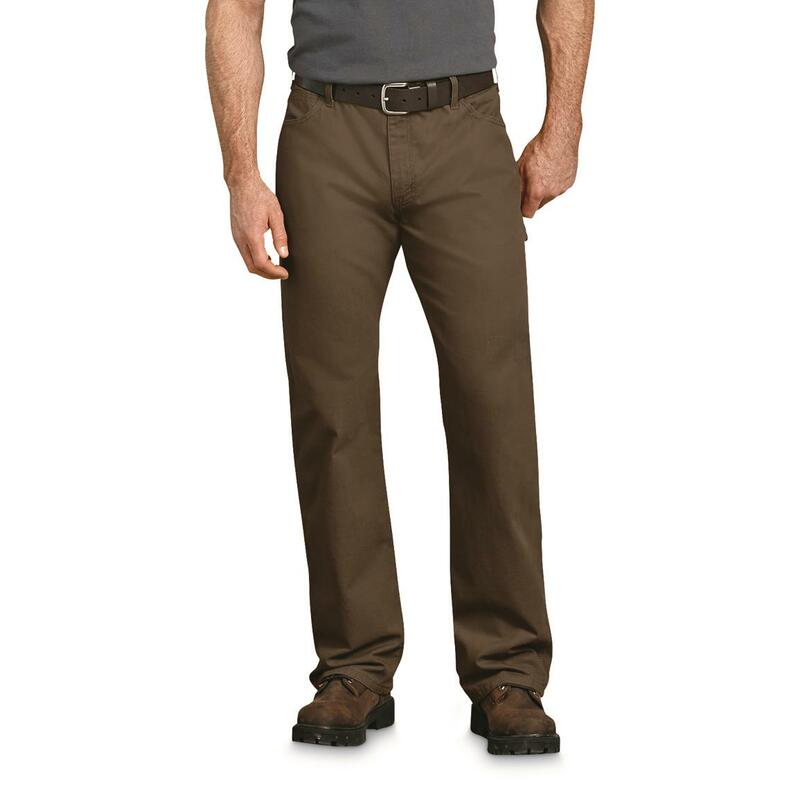 Dickies Mens Relaxed Fit Straight Leg Carpenter Duck Jeans is rated 4.6 out of 5 by 234. Rated 4 out of 5 by steak saucer from competent companion as a corollary of sorts to the reliable item #1939 cotton duck jeans, these sandwiched ducks are equally durable as well comfortable. 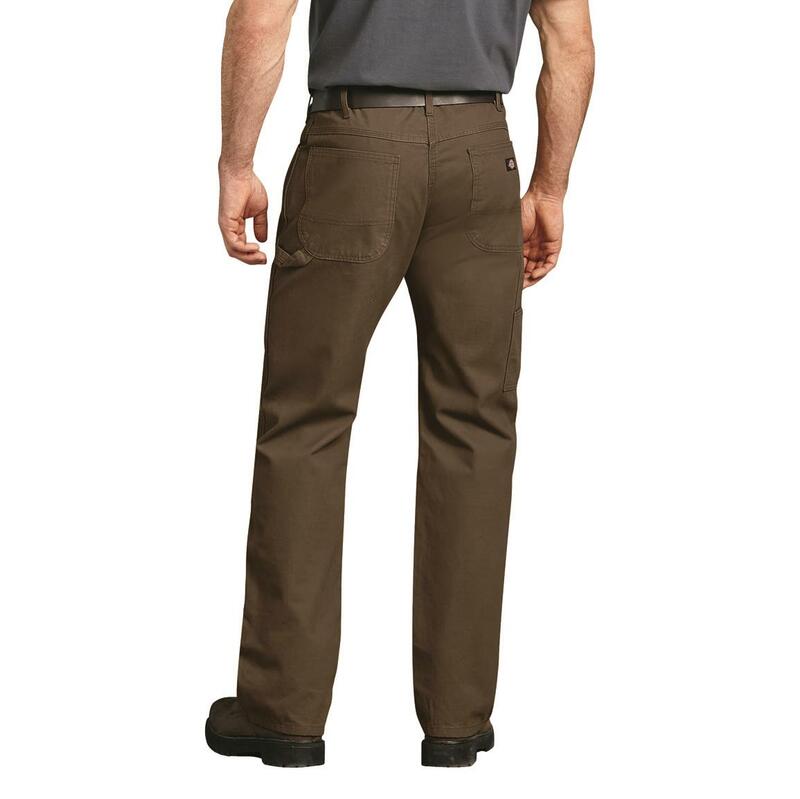 Rated 5 out of 5 by Rao73 from Best work pants I’ve bought 3 pairs of these pants and they are very comfortable, with a great fit. Rated 3 out of 5 by golftoad from not sure about sizing ordered 4 pair of pants, 1 loose fit and 3 relaxed. the loose were okay the relaxed were a lot smaller. checked the tags and they all said the same size. not sure why the fit would be different in the waist. i still like the pants and will try to lose some weight to fit in them. Rated 5 out of 5 by Harley95 from Awesome!!! Love the Thickness, Very comfortable. Not Baggy, They fit great. Rated 5 out of 5 by Cliff S from Nice pants These pants do the trick. They fit well, have plenty of pockets, and are made of very durable material. Rated 4 out of 5 by Dave345 from Sturdy I like these because the material is much more sturdy then blue jeans. Specifically, in the crotch area I don't feel like my tennis equipment is hanging out there to dry. Very specifically, my left tennis ball. Much more comfortable standing around people who are seated now. Comfort for everyday wear. 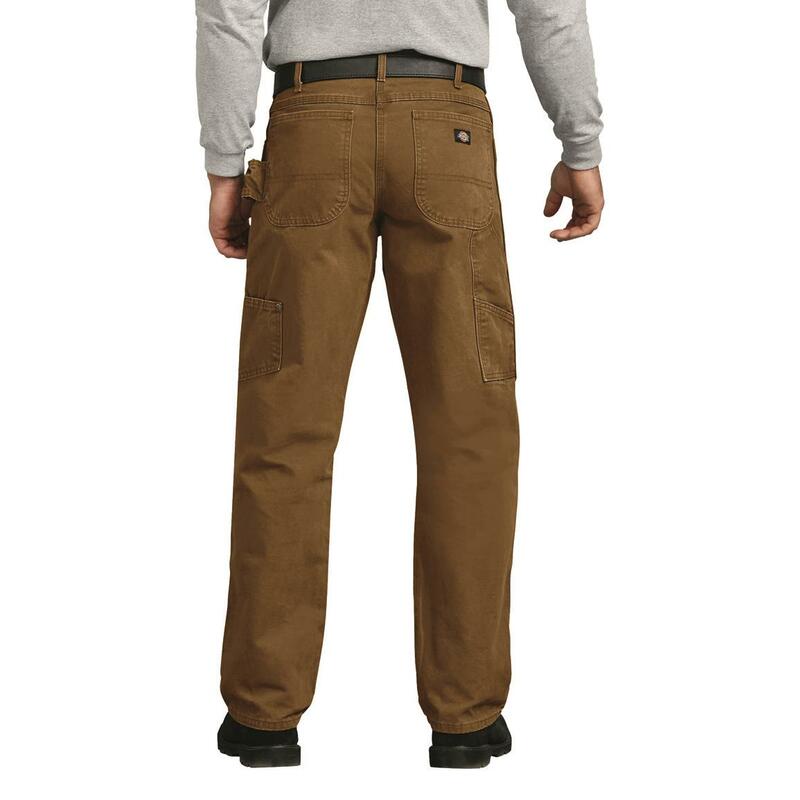 Rated 3 out of 5 by Beeralph from Durable, but scratchy and run small I bought some carpenter pants like these from Dickies over a year ago. They were the relaxed fit, sanded duck fabric. They were very comfortable and fit me perfectly. They were also very wear resistant. These ones I just purchased run small in the waist. They say they are sanded duck, but they are a coarse rough finish. Hopefully they will chafe less as I wash them more. Also, the "light grey" pair looks more like white. Rated 5 out of 5 by AIM1 from Perfect work wear. I used these Jean's for a few years and they are comfortable, tough and perfect for daily use.